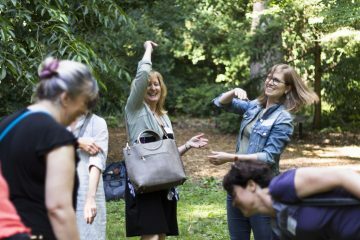 Immerse your team in an outdoor experience that promotes teamwork, creativity and fun in the beautiful UBC Botanical Garden. Our expert guides will lead your employees through hands-on, interactive activities along the TreeWalk Canopy, Alpine Garden, Food Garden, and forested meadows. Come grow your team with us and enjoy a fun-filled experience that will leave your employees feeling inspired, energized, and connected. View our range of available options by clicking below. 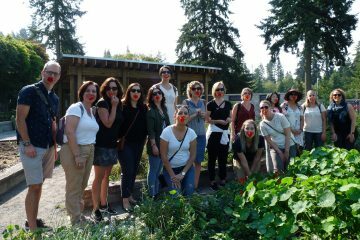 Book your corporate retreat at the Garden Reception Centre and let us start you off with a quick set of fun, hands-on activities designed to reenergize your hard-working team! 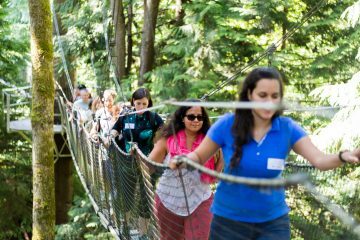 Fuel your team’s creativity and productivity as they collaborate and problem solve on an adventure through the Garden and TreeWalk. 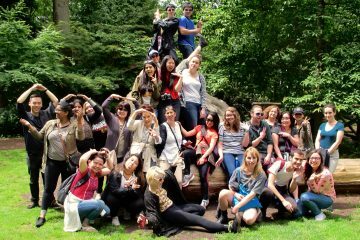 Combine team building in nature with a relaxing long table lunch. 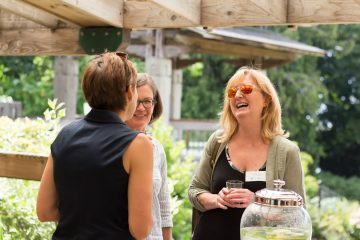 A morning spent in the Garden followed by a fully catered lunch will leave your team feeling energized and connected. Make a day of it! 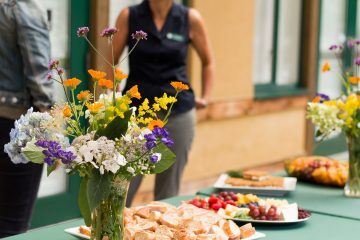 Combine Garden-hosted team building activities with a relaxing long table lunch and your choice of planned activities, workshops, or guest speakers in our fully equipped Garden Reception Centre and outdoor patio. …Or flip the script to fill the morning with your customized activities and the afternoon with team building in the Garden! 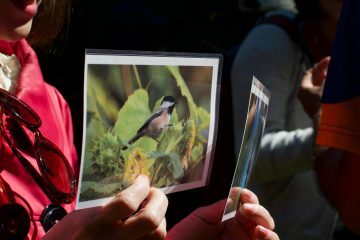 Introducing a retreat to develop your team’s truth and reconciliation awareness, share lunch together and connect in team building activities in the Garden. 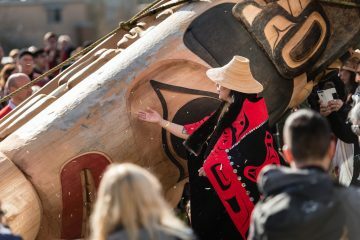 Truth and Reconciliation Workshop: Spend your morning deepening your intercultural understanding of First Nations in Canada through a Truth and Reconciliation workshop. 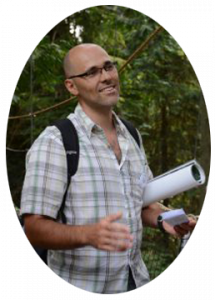 Instructor Brad Marsden from the Gitksan Nation, British Columbia, creates an open and safe space for groups to learn, listen, understand and discuss the impact of residential schools and colonization. Long table light lunch with your team in a beautiful setting. 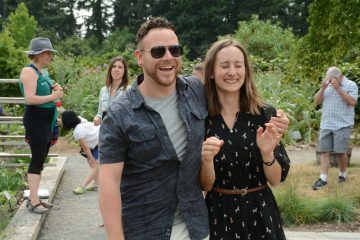 The Field School is presented by UBC Botanical Garden, Society Promoting Environmental Conservation, UBC Psychology and the Institute for Resources, Environment and Sustainability at UBC. 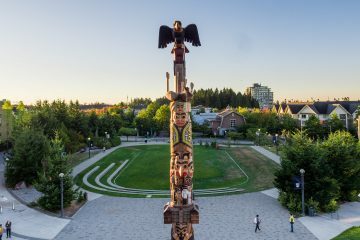 The Sustainable Communities Field School Program was made possible through a generous donation to UBC from Paddy Wales. 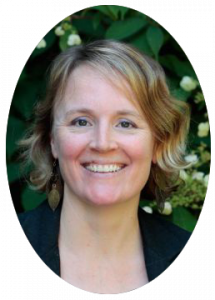 Funding for SPEC was made possible by the Sitka Foundation, and the Gow-Jarrett and Millard Family.